Complex organisms have complex genomes. While bacteria and archaea keep all of their genes on a single loop of DNA, humans scatter them across 23 large DNA molecules called chromosomes; chromosome counts range from a single chromosome in males of an ant species to more than 400 in a butterfly. There have been indications that chromosomes matter for an organism’s underlying biology. Specialized structures within them influence the activity of nearby genes. And studies show that areas on different chromosomes will consistently be found next to each other in the cell, suggesting their interactions are significant. So how do we square these two facts? Chromosome counts vary wildly and sometimes differ between closely related species, suggesting the actual number of chromosomes doesn’t matter much. 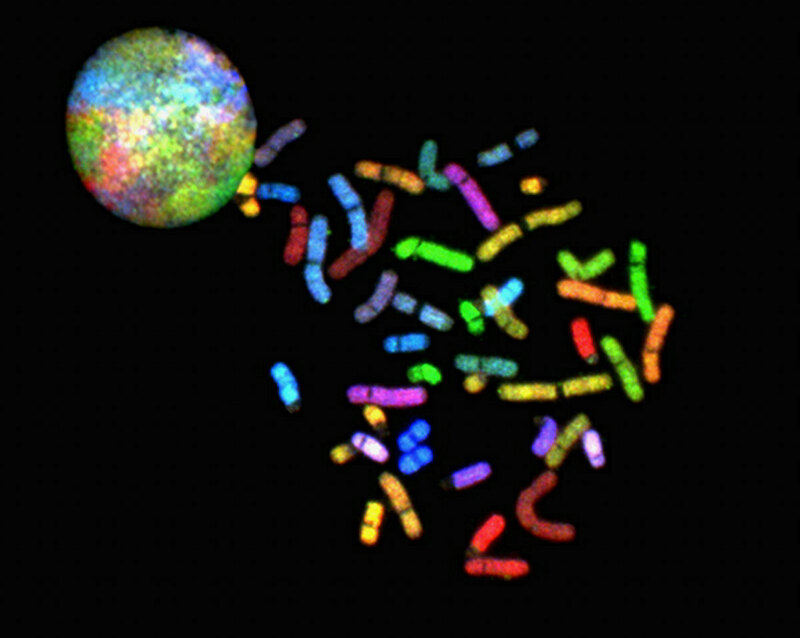 Yet the chromosomes themselves seem to be critical for an organism’s genome to function as expected. To explore this issue, two different groups tried an audacious experiment: using genome editing, they gradually merged a yeast’s 16 chromosomes down to just one giant molecule. And, unexpectedly, the yeast were mostly fine.